My work deals with the landscape of time, place and memory. I work in complete isolation and silence as I try to inject my feelings and emotions into my tapestries. 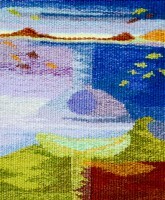 The three pieces I have selected for this page tell a story about my personal journey through the medium of tapestry. Crow by Crowe is a play on my name. A series of 6 tapestries were woven telling that journey, in a symbolic way of emerging like a butterfly from almost 30 years of teaching art and design in the community school sector and reclaiming my life as an artist. I deliberately reduced my pallet to black, white and greys. “Crow by Crowe 1” is male. “Crow by Crowe 2” is female.” Mating Dance”, “Family”, “A murder of Crowes” and finally “Solo Flight” completes the series. My second tapestry is titled: “Autumn Helicopters in water” I love the fruit of the Sycamore tree, how it dances down and lays in pools of water every autumn. I gather them and draw, paint and press them each year. 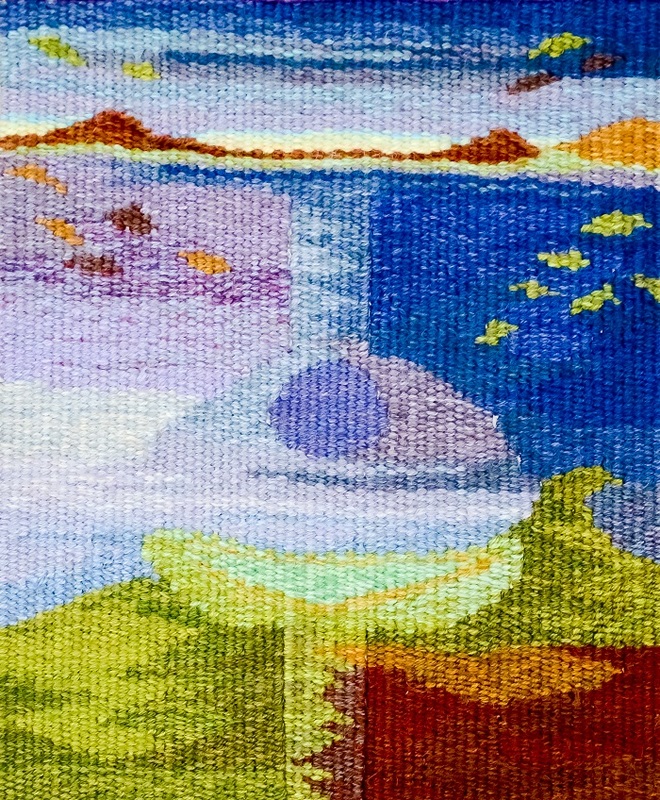 My third tapestry is influenced by my now mentor and friend Joan Baxter. Titled: “Chalice of memories”. Using her dyed yarns, it was woven without any design, or cartoon. Full of emotion it tells the story of how my brother lost his life. Frances Crowe studied fine art painting at the national College of art and Design, Dublin, Ireland 1975-1979. 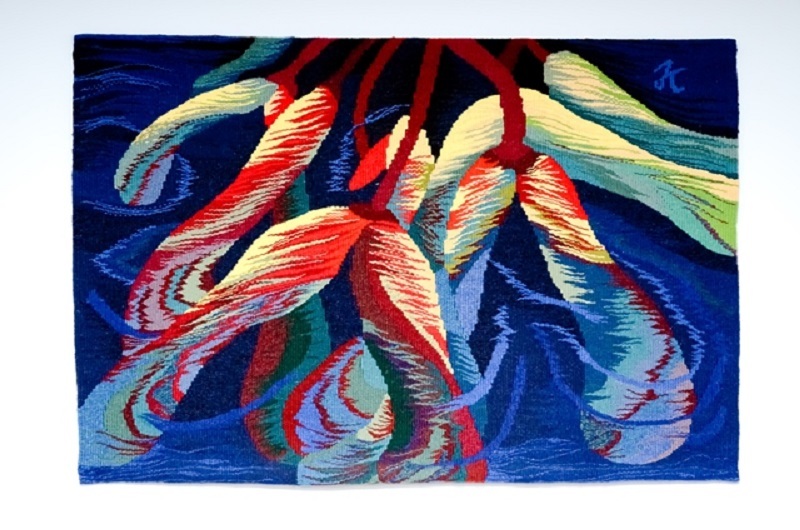 While completing her degree to become an art teacher in 1980 she discovered tapestry, and realised she had finally arrived at a place to express her desire to create. 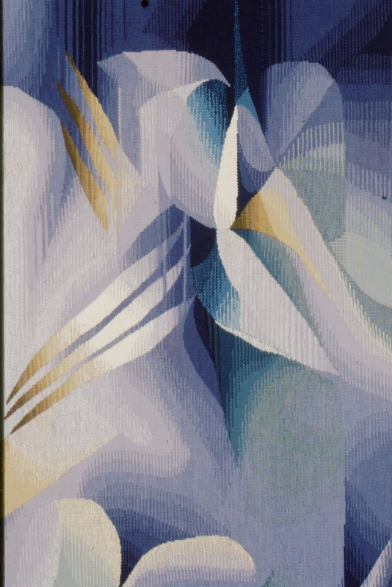 During the 1980s she combined painting and tapestry in large scale textural/ sculptural pieces. Pushing the boundaries of what might be accepted in traditional expressions. These were exhibited in Galleries Nationally. She moved from Dublin to the rural midlands of County Roscommon Ireland in the mid-80s where she took a teaching position and reared her family. She founded the group Working Artists Roscommon, WAR. 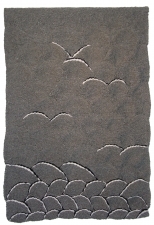 A contemporary group of likeminded artists, and opened Edenvale House artists’ studios. Exhibiting throughout Europe and arranging many artists’ exchange programmes. 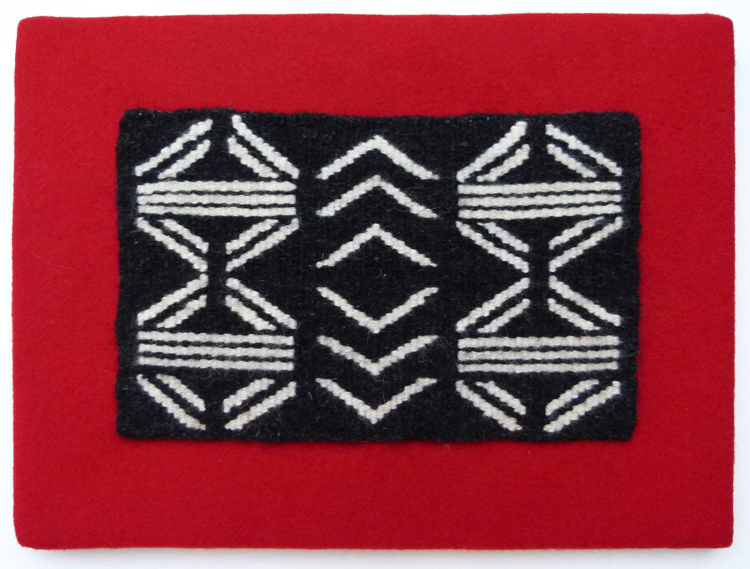 She continued to make wall hangings in her own self-taught style. Working in rural isolation without any other fibre, textile or tapestry artists to share ideas or techniques with she made up her own. Several large scale commissions for Government bodies followed. These were woven on a homemade scaffold upright frame. In order to make them a 6 foot trench had to be dug out of the floor in her then studio. 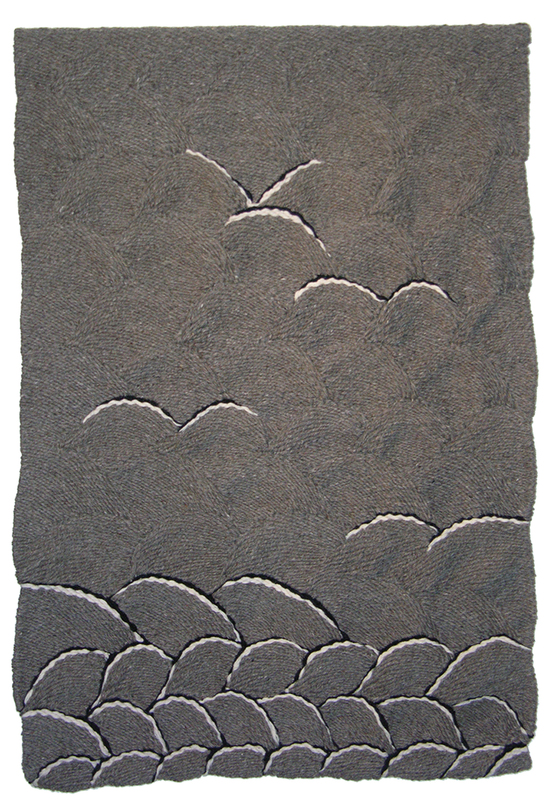 In the 90s she discovered a group “Contemporary tapestry artists Ireland” and joined them. Finally she had a whole new world of Irish Tapestry artists to bond with. 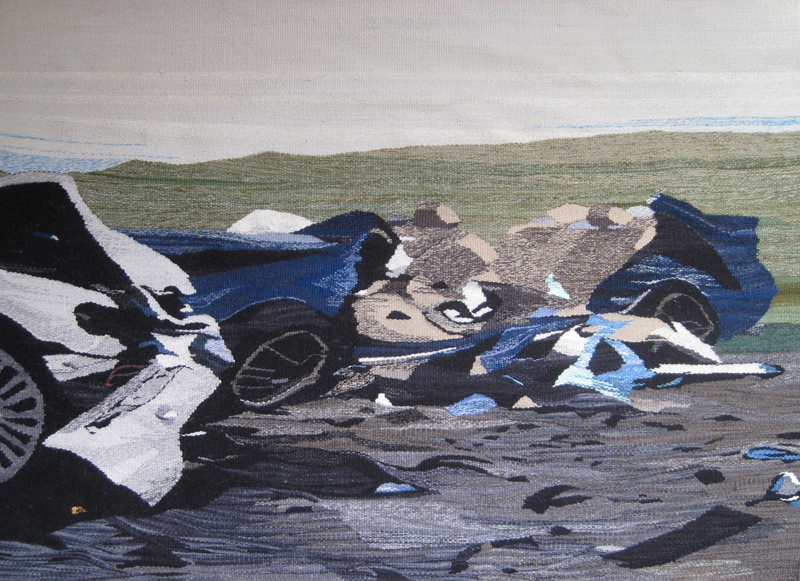 In 2010 she opened Grange Studio where she teaches tapestry, and continues to create works for exhibition and commission. 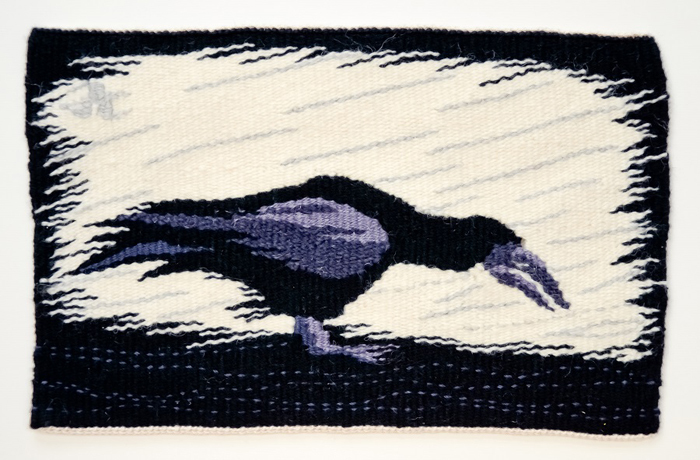 Through a collaboration with Scottish tapestry artist Joan Baxter, Frances now tasks herself with using finer yarns in the creation of her latest works. Now devoted to weaving tapestry on an upright frame daily she has discovered a whole new world of amazing tapestry artists around the world and is loving it.